Radiance mists, uplifting spritzes and refreshing sprays have long been available in the UK, but they’re definitely having a moment and finally getting the attention they deserve. I’ve long loved a spritz of something refreshing, cooling and uplifting in the summer, but thanks to the new technology and delivery systems developed mists are more advanced and multifunctional than ever before – making them great all year round. Pixi is well known for their Glow Tonic, one of the most iconic and in-demand products amongst the beauty blogging community, but this Glow Mist is a welcomed extension that takes skincare a little bit further. The lightweight and deliciously scented mist can be used in three ways to ensure skin and makeup is looking fabulous all day long: under makeup, after makeup or on-the-go for a little pick-me-up. This bi-phase liquid needs a little shake to mix the ingredients together, but when sprayed onto skin it provides a glowing and luminous complexion. The formula is enriched with thirteen natural oils, as well as argan oil, aloe vera and fruit extracts (that provide its deliciously uplifting fragrance) but is totally non-greasy. Once sprayed onto skin it instantly invigorates the senses, cools, comforts and adds a touch of radiance, but the liquid evaporates within seconds to leave a refreshed complexion. When applied before applying makeup and after skincare, the Glow Mist helps to hydrate and nourish while prepping the skin for foundation; it’s a great lightweight primer. When spritzed over a finished look it helps to set makeup and add a dewy finish – without overloading skin with shimmer or moisture. When popped in your handbag to use on-the-go, the tonic helps to refresh makeup and remove any noticeable shine, while hydrating skin and adding a touch of inner beauty. The bottle is small enough to be popped on your desk, slipped in your handbag or even taken to the beach when it finally gets warm enough to do so. I love a multifunctional product and I adore anything that helps tired or dehydrated skin to sparkle; the Pixi Glow Mist helps add that touch of radiance that’s sometimes lacking, especially after a long day sat in an air conditioned office. At £15.00, it’s also a really affordable way to treat your skin every single day. 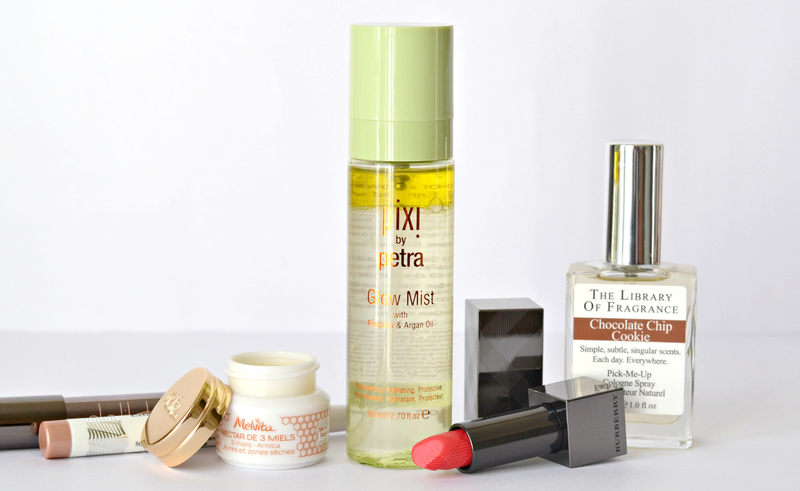 Are you a fan of facial mists and spritzes? Have you tried the Pixi Glow Mist or Tonic? The Pixi Glow Mist is available online or via the Pixi boutiques, priced £15.00. Yes definitely – although I find this slightly more 'glowy' and radiant, thanks to the oils.